Renegade Kid are responsible for some of the more innovative and undeniably horrific first-person experiences on DS, having already given us Dementium: The Ward as well as the excellent Moon. Dementium II was recently announced for release in 2010, hitting North America on February 16th and reaching Europe a few weeks later on March 5th. We recently got chance to have a sit down with Dementium II to try out some of its new features, and we came away once again impressed by Renegade Kid's DS mastery. Taking the same first-person perspective as its predecessor, Dementium II opens up in a mental hospital with your character, William Redmoor, being sedated, finally waking up in a cold, dank room with little more than your curiosity. If you've played the first game, you may notice a few tweaks in the game's user interface - the map now indicates which areas you've explored as well as doors yet to be unlocked, making it far easier to keep track of where you've been and where to go next. It seems a small change, but with the sequel twice the size of the original it becomes an invaluable addition for navigating the increasingly labyrinthine areas. There are more welcome tweaks on display, too. William's certainly smarter than before, having learned the ability to use a weapon and torch at the same time, removing the constant need to switch between the two. Although this does slightly impair the atmosphere compared to the intensely dark original, the torch (that's flashlight, North American readers!) still has a very narrow beam, providing room for plenty of scares. The scares come pretty thick and fast, in fact. 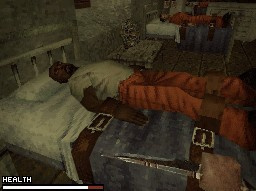 Within minutes of you leaving the first room you've witnessed hellish visions, including hapless inmates having drills forced into their innards, in one of the game's hallucination moments. As an inmate it seems you're prone to seeing things very differently to reality, resulting in plenty of Eternal Darkness-type moments where you'll believe you're in danger but you're not and, of course, vice versa. It's certainly an intriguing feature and always keeps you on your toes; you never feel settled, a key achievement for any horror game. We've been asked not to write about anything further than chapter two, but rest assured you'll be well served if you're a DS owner with a penchant for a more psychological brand of horror. There's plenty of gore, disgusting creatures (the first boss being a particularly foul beast) and it's pleasing to see Renegade Kid have listened to some of the criticisms of its output. 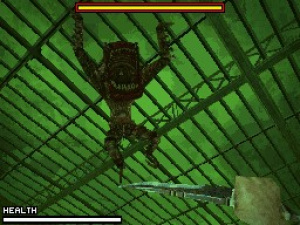 There are still some recurring issues from Dementium and Moon, with a limited number of enemy designs and lacklustre artificial intelligence, but the atmosphere, presentation and production values put it above the majority of output on the DS, and good quality horror games are always welcome around these parts. Check out this teaser trailer from SouthPeak Games if you want to find out a little more about the game's setting, Bright Dawn Treatment Centre. You can make your own journey through Dementium II's halls and beyond when it's released in North America on February 16th and Europe on March 5th. Looks creepy! Just read the review for the first game. With improvements this sequal could be really good. Looks good, if it controls well then I'll consider picking this up when it's released. Looks great but I'm kinda scared of Dementium. I have Moon and I can expect the graphics and gameplay to be top-notch for Dementium II. Looks good. May have to pick it up. That trailer was weird...and not very helpful. It kinda reminds me of FEAR, except not as cool, or the scary parts of Half-Life 1 and 2. I'll probably pass for now. I've got to say, in addition to everything already said, thats an awesome box art cover. If it's anything like the last game, it'll be creepy and atmospheric, with plenty o' short-lived shocks, but rarely all-together terriffying. i'd hoped there were more than the, like, 2 different baddies from the first one and same knocked over chair/table/locker in every hall, but it sounds like more of the same, just longer. I enjoyed what I played of the first one, though I didn't get too far into it. And shouldn't it be "Brown pants recommended"? Or rubber pants? I've always wanted to play the first one. It seems a lot of members of Nintendo blogs are in fact under 18. I guess that explains all those poor sells of M-rated titles (I'm looking at you #2). I never played the first one due to complaints that many reviewers had in common (map, save system etc. ), making the gameplay sound a bit hard to swallow. I did buy Moon and had a decent time with it. I might just get Dementium 2 day 1. When will there be a review of this game?